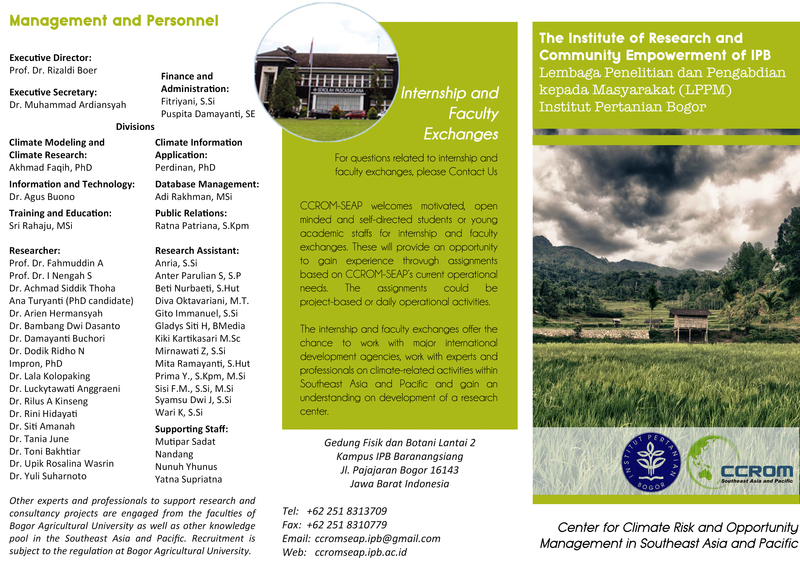 The Centre for Climate Risk and Opportunity Management in Southeast Asia and Pacific (CCROM SEAP) at Bogor Agricultural University (IPB) in close collaboration with the Deutsche Gesellschaft für Internationale Zusammenarbeit (GIZ) GmbH is going to implement the National Climate Leadership Plus (CL+) Indonesia program “Collective Leadership for Sustainable Natural Resource Management under the Effects of Climate Change” on behalf of the Federal Ministry for Economic Cooperation and Development (BMZ). 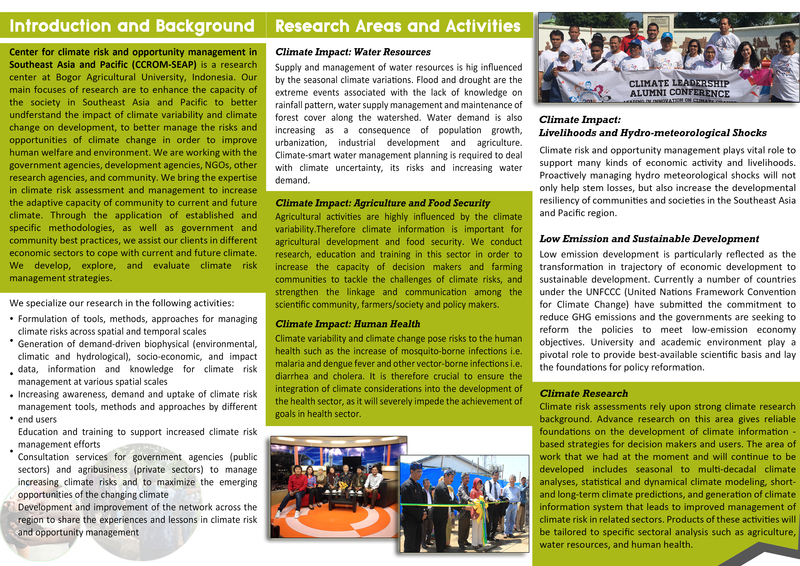 The purpose of this program is to provide contribution with innovative solutions for the utilization of natural resources in a sustainable manner, taking into account the effects of climate change. The specific challenges of the watershed management of the Citarum river of West Java and Kapuas river of Kalimantan will serve as cases for the program. The selection process of participants of this programme will be divided into 3 (three) categories, which is 8 participants from Kapuas River (Kalimantan), 8 participants from Citarum river (West Java), and 4 participants from Other region (University, Media, etc). 5 . Letter of recommendation from applicant supervisor, as well as the applicant's signature or agreement to join the program. The application brochure can be find here. 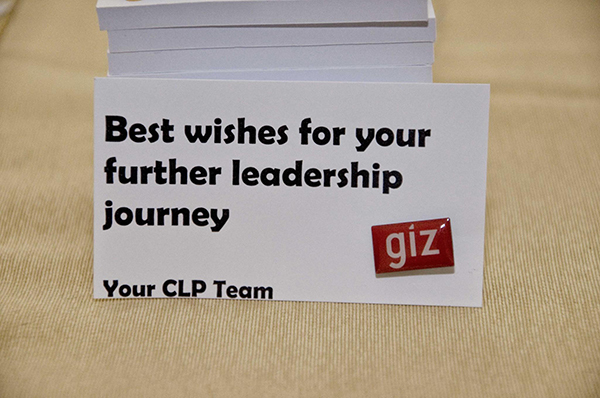 The application deadline of the programme is extended to 17 January 2014.